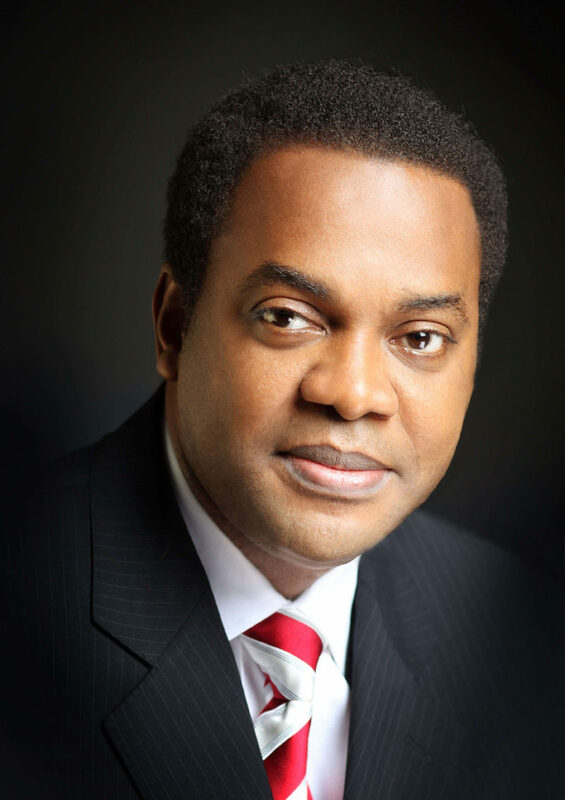 Details emerged yesterday, that, of the 79 candidates vying for the 2019 presidential election, the National Youth Service Corps (NYSC) discharge certificates of ex-Governor Donald Duke (Social Democratic Party) and Dr. Olusegun Mimiko (Zenith Labour Party) were “missing” from their credentials. The aspirants were silent on their participation in the NYSC scheme. Duke, in his nomination form, admitted that he “attended the Ahmadu Bello University, Zaria, where he obtained a law degree in 1982 and the Nigerian Law School and was called to the Bar in 1983. Like Duke, Mimiko was silent on his NYSC career and efforts to reach him via his mobile line on his nomination form were unsuccessful. It was not immediately clear if the fault was from INEC or the candidates did not participate in the scheme. Also, the presidential candidate of the Peoples Party of Nigeria (PPN), Major Hamza Al-Mustapha (rtd) of the Peoples Party of Nigeria (PPN) and former Chief Security Officer (CSO) to late Gen. Sani Abacha, claimed that his credentials are still with the Nigerian Army. Reacting to an applicant’s query about his ‘missing’ credentials, Al-Mustapha said in his nomination form: “My entire personal documents including my certificates and awards were taken away by the then government in 1998. Formal complaints were registered before High Court of Lagos (2000-2001) and Federal High Court 3(Lagos Division)-2004-2007 but the government refused to obey court orders till today. “However, Nigerian Army (my employer-1983 -2013) is in custody of the certificates this applicant is asking of. “I was a victim of persecution for 15 years (1998-2013 over trump up charges. I was however exonerated and freed of the wanton charges vide Court of Appeal ruling: “Major Hamza Al-Mustapha v, The State CA/L/469a/ 2012”-Judgment delivered on 12th July 2013. Al-Mustapha’s narration bears resemblance to that given by incumbent President Muhammadu Buhari of the All Progressives Congress (APC), who claimed that his certificates were with the military in a 2014 affidavit attached to his presidential nomination form. Further findings revealed that a total of 79 aspirants including President Buhari, ex-Vice President Atiku Abubakar, ex-World Bank Vice President, Oby Ezekwesili, Al-Mustapha, Duke, Mimiko, and two former Deputy Governors (DGs)of the Central Bank of Nigeria (CBN), Dr. Obadiah Mailafia (African Democratic Congress) and Kingsley Moghalu (Young Progressive Party), are in the list of aspirants for the 2019 presidential election. Also, there are four women seeking to be president in 2019 including Oby Ezekwesili; the others are Angela Johnson (Alliance for United Nigeria); Mercy Olufunmilayo Adesanya-Davies (Mass Action Joint Alliance); and Hajia Rabia Yasai Hassan Cengiz (NAC party). Out of 89 political parties fielding candidates for 2019 general elections, 10 parties have opted out of the presidential contest. The parties are APN, LPN, MDP, NGA, PDC, PDM, PPP, PRP, UPP and YP. The Independent National Electoral Commission (INEC) also clarified, last night, that, 6, 351 candidates will vie for 109 seats in the Senate and 360 seats in the House of Representatives. In the wake of INEC’s disclosure, Nigerians trooped to the office of the Independent National Electoral Commission (INEC) in the Federal Capital Territory, Abuja, to verify the list of presidential candidates and their credentials in line with the claims and objections allowed by the Electoral Act. The electorate defied the scorching sun to go through the list pasted on the gate of INEC office. The list of the presidential candidates include Angela Johnson (Alliance for United Nigeria); Adetokunbo Olufela Durotoye (Alliance for New Nigeria); Habib Mohammed Gajo (Young Democratic Party); Isah Dansarki (Mass Movement of Nigeria); Atiku Abubakar (Peoples Democratic Party); Muhammadu Buhari (All Progressives Congress) Ahmed Buhari (Sustainable Nation Party); Ademola Babatunde Abidemi (NCMP); Eguzolugo Sunday Chikendu Chukwu (Justice Must Prevail Party); Omoyele Stephen Sowore (African Action Congress); Amb. Abah Lewis Eliagwu (Change Advocacy Party) ; Hamza Al-Mustapha (Peoples Party of Nigeria); Samuel Adesina Ayodele Fagbemi-Byran: (Kowa Party); Donald Duke (Social Democratic Party); Major Gen. John Wilson Terwase Gbor (All Grand Alliance Party); Oshawa Chukwudi John Kennedy (Rebuild Nigeria Party); Nsehe Nseobong (Restoration Party of Nigeria); Yabagi Yusuf Sani (ADP); Mercy Olufunmilayo Adesanya-Davies (Mass Action Joint Alliance); Nwachukwu Chucks Nwabukwu (All Grassroots Alliance). Others Asukwo Mendie Archibong (Nigeria for Democracy party); Usman Zaki Muhammad (Labour Party); Shittu Muhammed Kabir (Advance Peoples Democratic Party); Frank Ukonga (D.A party); Babatunde Ositelu (Accord party); Ikeagwuonu Obinna Uchechukwu (Action Peoples party); Tope Kolade Fasua (Abundant Nigeria Renewal party); Hajia Rabia Yasai Hassan Cengiz (NAC party); Moses Godia Shipi (All Blending party); Eke Sam Chukwuma (Green Party of Nigeria); Mark Emmanuel Audu (United Patriots); Hamisu Santuraki (Mega Party of Nigeria); Moses Ayibiowu (National Unity party); Nwokeafor Ikechukwu Ndubuisi (ACD); Ibrahim Aliyu Hassan (African Peoples Alliance); Donwubuya John A (Freedom and Justice Party); John Owoniyi Dara (Alliance of Social Democrats); Awosola Williams Olusola (Democratic Peoples Congress); Usman Ibrahim Alhaji (National Rescue Movement); Ojinka Geff Chizee (Coalition for Change); Inuwa Ahmed Sakil (Unity Party of Nigeria); Yusuf Mamman Dan-Tale (Allied Peoples Movement); Asiwaju Mashood Shittu (Alliance National Party); Kriz David (Libration Movement). Others in the race are Dr. Obadiah Mailafia (African Democratic Congress); Chief Nmenwa Godwin (AGAP); Chief Peter Ameh (Progressive Alliance); Isiaka Ishola Balogun (United Democratic Party); Chike Ukaegbu (Advanced Allied Party); Ize-Iyamu David Esosa (BNPP); Prof. Yusuf Ameh Obaje (Advanced Nigerian Democratic Party); Rahman Olusegun Mimiko (Zenith Labour Party); Rev. Christopher Okotie (Fresh Democratic Party); Ikechukwu Modestus Keke (New Nigeria Peoples Party); Dr. Yunusa Tanko (National Conscience Party); Dr. Obiageli Katryn Ezekwesili (Allied Congress Party of Nigeria); Ilongo John Chuks (Democratic Peoples Party) and Kingsley Bosah Chiedu Moghalu (Young Progressives Party).